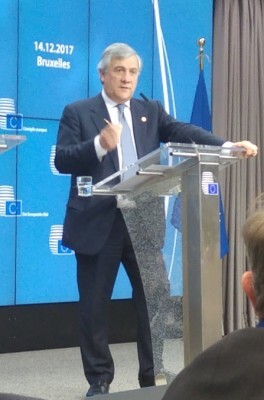 EU Parliament President Tajani to EuroFora : -"Dialogue with Citizens is On-Going"
Home newsitems EU Parliament President Tajani to EuroFora : -"Dialogue with Citizens is On-Going"
*Brussels/EU Summit/Angelo Marcopolo/- Replying to our Question on "Eurofora"s project for Debates between EU Citizens and MEPs before Important Decisions, during his Press Conference, just after speaking at the EU Summit in Brussels, where Heads of State/Government are due to examine also Europe's and particularly €uroArea's foreseable Future, the experienced EU Parliament's President, former Twice EU Commissioner, Top MEP and f. Foreign Minister, Antonio Tajani, stressed that MEPs' "Dialogue with EU Citizens" is an "On-Going" Issue, particularly in the run up to the forthcoming May 2019 European Elections. - "Mr. President, You are very Kean, as you said also earlier in this Press Conference, about what EU Citizens feel as Important Issues. Don't you think that Now, that Preparations for the 2019 Elections have Started, it would be Interesting to have, in Parallel with the Debates - and probably also in order to Help in/Add to those Debates - that you'll organize with the (EU) Heads of States, also other Debates, - if possible, in a quite shoft and easy (simple) way - with the (EU) Citizens and MEPs, about the Most Important Issues that you have in (EU) Parliament'"s Agenda ?, "Eurofora" asked Antonio Tajani. 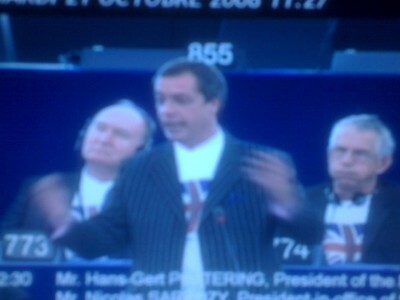 - "On the (EU) Citizens : As You know, in (EU) Parliament, this Dialogue with Citizens is On-Going ! 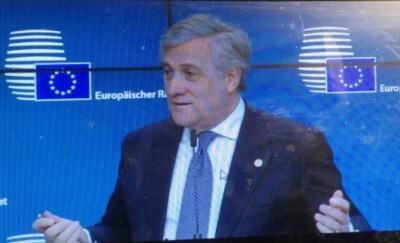 ", President Tajani stressed from the outset, in his Reply to "Eurofora"s Question, as a matter of General Principle. - F.ex., inter alia, "in All my Visits to (EU) Member Countries together with the Conference of Presidents (of MEPs' Political Groups), we organize Meetings with the Citizens". - Thus, "during my Recent Visit to Cyprus, I organized a Meeting with the Students, in the "House of Europe", in Cyprus, in Nicosia", he reminded. 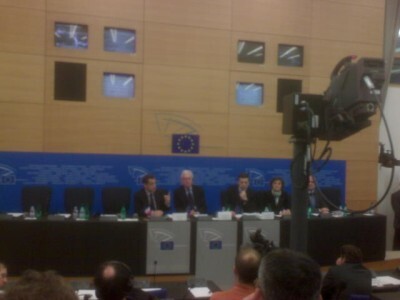 + "And, during our Visit to Bulgaria, for Paving the Way to the New EU Bulgarian Presidency (for the period of 1 - 6/2018), the European Parliament organized a meeting at the University, for Exhanges of Views, between the Conference of the Presidents (of MEPs' Groups) and the Citizens", he added. 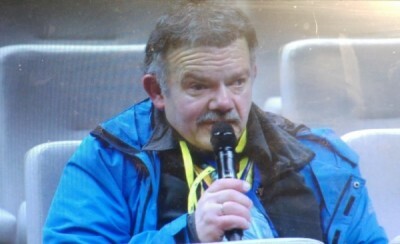 - On this occasion, there were Direct "Questions and Answers, withOut any (Intermediary) Network". - It was, indeed, "a real Debate : Free Questions - Free Answers. 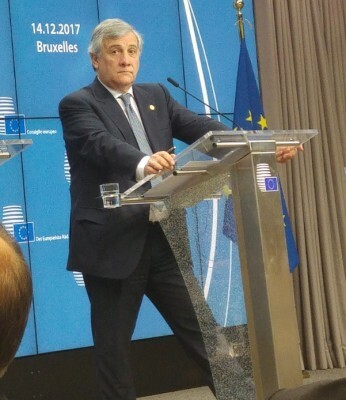 This is a New System for Better Communication", President Tajani observed, smiling, apparently Satisfied by such a Formula, (i.e. recognizing and appreciatiing the Value of Direct Debates between EU Decision-Makers and EU Citizens on Important Topical Issues, Before chosing one or another Solution). + Moreover, "the (EU Parliament's) Communication System is Also Organizing a New System of Communication" : In particular "Meetings with the most Important European "You-Tubers", (at the Web) for a Better Communication with (EU) Citizens". ++ And, in fact, "We are using the Parliament's Election Campaign (preparing the Horizon 2019) to explain our work, in order to Reduce the Distance between (EU) Citizens and the European Institutions", he concluded, as a matter of overall Principle. 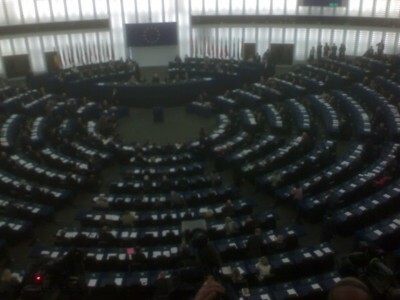 - Even if it's (naturally) impossible to invite all EU Citizens during the Plenary sessions", nevertheless, "we Invite the Most Important People, and we are Using the Plenary for Meetings with the Citizens, (f.ex.) on Tourism, on Africa, etc. There are a lot" of such Topical Issues open for Dialogue during the Plenaries, he concluded, leaving room for more eventual adequate moves on this key point for "Eurofora"s project, (See also Infra). 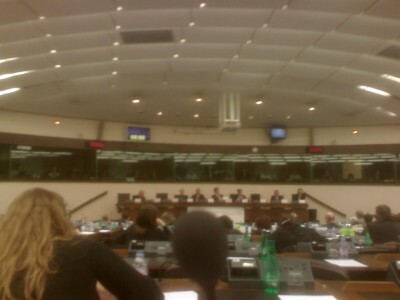 + In this regard, the Fact that "Eurofora"s 1997-2017+ Project for Regular Public Debates between EU Citizens and MEPs before EU Parliament's Plenary Sessions' Final Decisions on the most Important Issues which affect their Lives and/or Society at large, is meant (already from its inception : almost at the "Birth" of the Web in the 1990ies) to be realized, in practice, mainly via Internet Forums easily connecting the concerned people by Digital means, withOut Need of "Invitations", physical "Meetings", etc., i.e. in the Simplest possible way, (as we Evoked also in our Question at Today's Press Conference : Comp. Supra), is due to be Discussed with President Tajani also by EU Parliament's experienced Long-Time Press/Media Head and New Director of Communication, Jaume Duch from Spain, as he told us. ++ Meanwhile, concerning Technical Aspects of "Eurofora"s Project about Web Forums at the eve of the most Important EU Decisions, (Comp. Supra), EU Parliament's Secretary General, the experienced Klaus Welle from Germany, who was Present at Today's Press Conference, made to "Eurofora" an Interesting Suggestion to Use a Practical "Ap." recently prepared by EU Parliament's Scientific Research section, which precisely, helps to Highlight the main Issues due to be Discussed and Decided at Each Forthcoming Plenary Session. Welle has already presented, some Years ago, as well as more recently, an Interesting General Strategy on the development of Internet's various Actors' Potential for MEPs' outreach to EU Citizens, and has already Discussed such Issues Previously with "Eurofora" (See, f.ex., among others, also : http://www.eurofora.net/newsflashes/news/euparliamentsecretarygeneralonmayelection.html + http://www.eurofora.net/newsflashes/news/euparliamentsecretarygeneraloncitizendebatesbeforedecisions.html , etc) also (working closely Together with President Tajani from January 2017) in view of the forthcming European Elections of 2019. +++ Earlier in Strasbourg, EU Commission President Jean-Claude Juncker's special Advisor, and Experienced former Chairman of the Biggest, ChristianDemocrat/EPP Group in the 47 Member Countries-strong PanEuropean CoE's Parliamentary Assembly, as well as f. Minister-President of the Flamish Region in Belgium, Luc Van den Brande, speaking to "Eurofora" during a meeting organized by the University of Strasbourg on Practical ways to Enhance "Horizontal" EU Democracy, did not exclude, but, on the contrary, found possible and interesting to eventually put in real practice a method as that which is suggested by "Eurofora"s project, certainly about Parliamentarian Decision-Making, but, perhaps, even on at least some among EU Commission's most important Decisions : - "Why not ? May be. We shall See", Van der Brande, carefully but positively, Replied in substance, after making sure about the main elements of the proposed schema in practice, (See : ...). 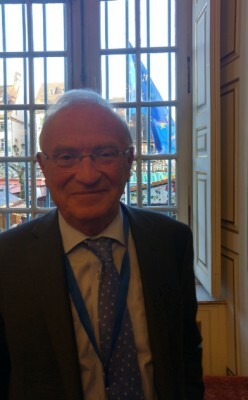 Van den Brande naturally spoke, on those occasions, also about his relevant Report on "a New Opportunity" for "Reaching out to EU Citizens", (that he has shown to "Eurofora"), which was written on October and Published on November 2017 by EU Commission in Brussels, but Discussed also in Strasbourg, including certain very Interesting Key Points able to Usefully Interact with "Eurofora"s project, largely Facilitating eachother, while both serving one and same General European Interest and Democratic, Topical Aim, (Comp. : ...).